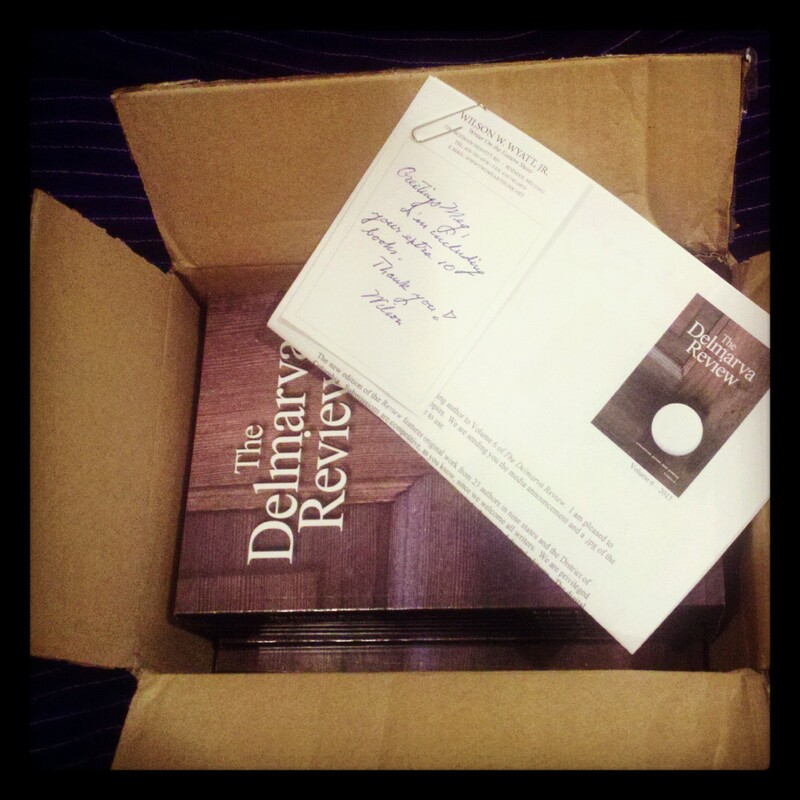 The sixth volume of The Delmarva Review has just come off the printers and is now available for purchase! You can order physical copies through this order form or by emailing me at meg [at] margaret-adams.com. My story “Undertow,” one of seven fiction stories contained within this volume, was described by editor Wilson Wyatt as “a penetrating view of self-esteem and misunderstanding.” You can listen to a discussion of this story with Wilson Wyatt and Hal Wilson on a recent segment of Writer’s Edition Delmarva Public Radio. This volume of The Delmarva Review showcases essays, fiction, and poetry by 23 authors from nine states and the District of Columbia. Please support this fantastic publication – Get your copy!